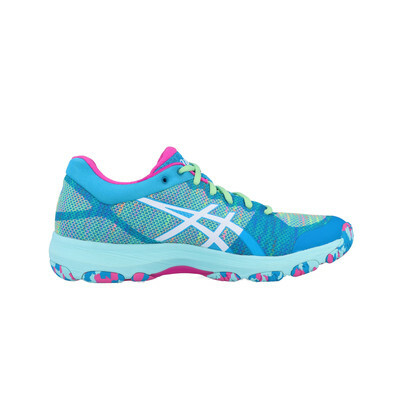 The Asics Netburner Professional FF is superbly lightweight, responsible and comfortable to help you be at your best on the netball court. 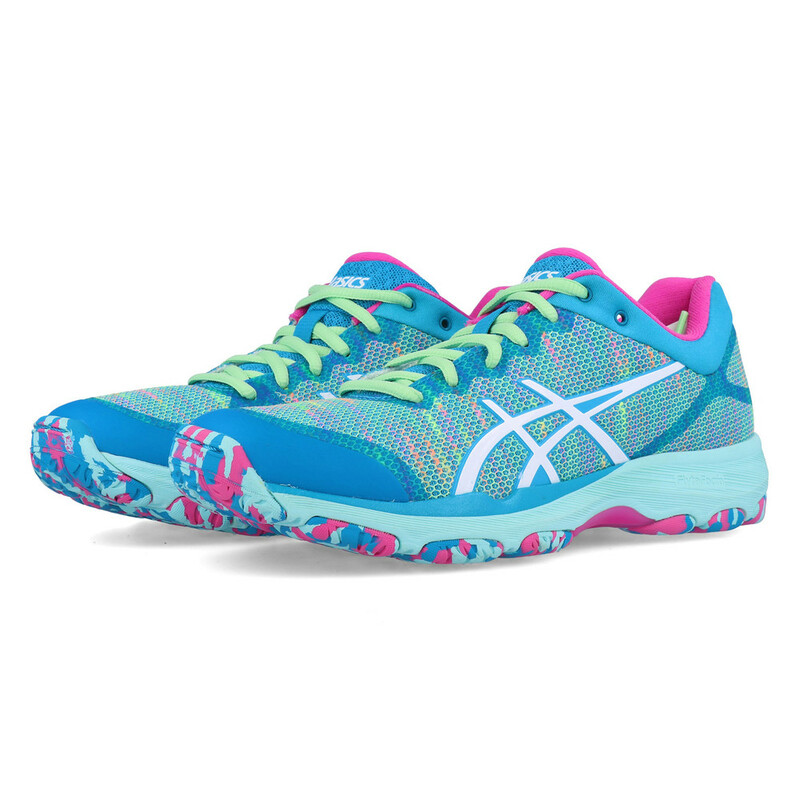 FlyteFoam resides in the midsole for exceptional cushioning while an AHAR outsole offers durability. 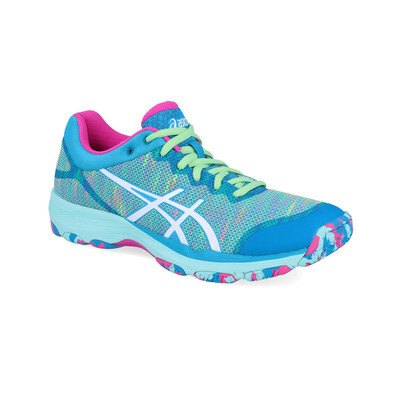 "All fine shoes look nice and fit well"
"These were a birthday present for my daughter (netball shoes) and she loves them! Great fit and lovely colours." Durability and comfort is the main function of the upper. Mesh is used to provide breathability by allowing cool air to circulate, creating a drier, healthier environment for your feet to thrive in. Additionally, the mesh also eradicates the build-up of excess sweat and moisture to leave your feet feeling cool, dry and comfortable as you strive for the best results and performance. A ComforDry Removable Sockliner further enhances moisture management by sitting comfortably against the skin for protection against chafing and irritation. The sockliner can be removed and replaced with a medical orthotic if required. Rounding off the upper of the Gel-Netburner is California slip lasting which connects the upper and the midsole for extra, reinforced stability as it is stitched around a canvas or EVA board. FlyteFoam technology is remarkably 55% lighter than the industry standard. Whilst midsole constructed with FlyteFoam technology isn't just super lightweight, they benefit from organic super fibres that bounce back into their original shape in the space of each stride, providing you with perfect adaptive cushioning. 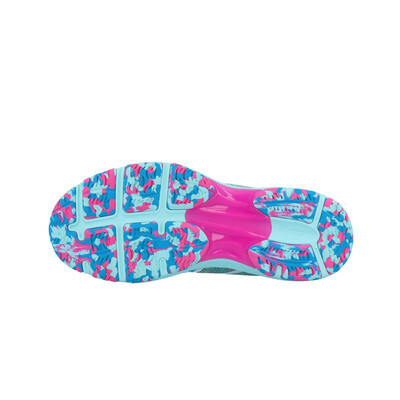 This engineered resilience also makes midsoles with FlyteFoam technology far more durable than their predecessors, so your body benefits not only from an elite level of cushioning, but elite cushioning that will perform at its peak longer and stronger than ever before. Working in conjunction with FlyteFoam is a Solyte midsole material which is a lighter weight midsole compound than ASICS' standard EVA and SpEVA. Solyte also features enhanced cushioning and durability for optimum performance. Rearfoot GEL attenuates shock during impact and toe-off phases and allows movement in multiple planes as the foot transitions through the gait cycle. 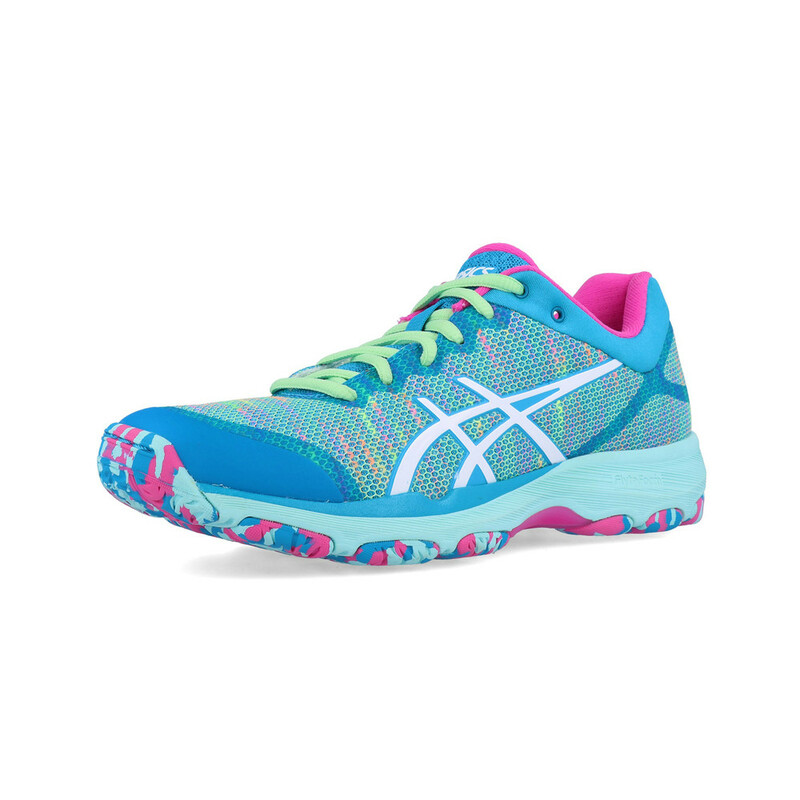 An AHAR (Asics High Abrasion Resistant rubber) outsole completes the Gel-Netburner Professional. Strategically placed in high-stress areas, it supplies excellent cushioning and grip without compromising the shoe's permanence. Everything has been thought of to provide you with the most reliable and comfortable netball shoe. A Trusstic System has been implemented to reduce the weight of the sole unit and link the forefoot and rearfoot, preparing you for propulsion so you can move forward with confidence. Durable Mesh Upper - Offers protection and breathability. Removable ComforDry Sockliner - Sits comfortably against the skin and can be replaced by a medical orthotic. FlyteFoam Midsole - Lightweight cushioning for responsiveness. Solyte Material - A lighter weight compound compared to traditional EVA and SpEVA midsole. Rearfoot GEL - Attenuates shock during impact and toe-off phases. AHAR - For optimal grip and traction.